This season is all about three shows for me: Mobile Suit Gundam 00's second season, Casshern Sins, and Tytania. Gundam 00's second season aired its first episode this past Saturday in Japan. Menclave and Shinsen are both subbing it. After the defeat of Celestial Being at the end of the first season and the forming of the Federation, our plucky Gundam-obsessed Arab hero, Setsuna F. Seiei disappeared, only to return to fight the Titans-like A-Laws. It seems like the there's also another group opposing the Federation, which Marina's former assistant Shirin is part of. Saji Crossroads, the put-upon loser from the first season is bullied by the A-Laws and put into a forced labor camp, only to be rescued by Setsuna, who is himself rescued by Vowels... er, Tieria Erde, in his new Gundam. Setsuna recieves his mandatory mid-show upgrade, the Gundam 00, and then goes to recruit Neil's twin brother Lyle to be the new Lockon Stratos. The first episode of the new season reminded me a lot of the first episode of my favorite Gundam anime, Zeta Gundam. Setsuna sneaking into the Proud Colony reminded me of Quattro Bajeena's daring recon in Green Noa. Of course, the A-Laws are a lot like the Titans. We even have the appearance of an AEUG-like force, the Kataron. Still, there was enough to make it unique in its own right. Hobo Exia was great. 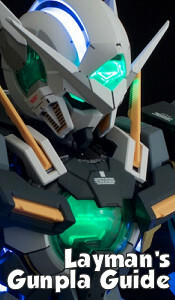 I'm glad Setsuna didn't just carve through the new MS models. I can only hope that Lyle doesn't just immediatly become a masterful Gundam pilot. He should work into it. It was a no-brainer that I was going to continue with this show, but it's good to know it looks like it'll be worth it. Casshern Sins seems very interesting. I'm not really familiar with the Casshern world, but luckily this looks like it won't matter. In this, our very slim, Quick Man-looking main protagonist is an android of some kind who caused a catastrophe many years earlier and roams the planet looking for answers, all while rusted robots try to kill and devour him with the hobes of becoming immortal. I like the frantic, well-animated action and moody atmosphere. It really feels like crumbling world. Definitely worth a trial run. Tytania is based on novels by the same person who wrote Legend of the Galactic Heroes. It's also produced by much of the staff of LoGH. It feels very much like that 110 episode classic, with its large fleet combat and aristrocratic characters. Also, much to my pleasure, the voice actor of Kamina from Gurren Lagann is in it. I've only just seen it raw, watching it as it premiered on NHK's BS-2 satelite network, but from the looks of things, it could be at least decent, even if its only a shadow of LoGH. As for who or when it'll be subbed, who knows. Rumors were that Shinsen was going to pick it up, or Menclave. But then there were rumors that the idea was dropped and nobody's subbing it (yet). I wish Central Anime would do it, since they did a great job with Legend of the Galactic Heroes. Anyway, I guess I'm very science fiction oriented, because I have little interest in any of the other shows airing this season.